We actually did a lot more than collect new counties and visit zoos. After all, we sat in a car for five days! I needed to stop every couple of hours to stretch my legs. Sometimes we timed our layovers to see something interesting and sometimes things had a way of finding us. The open road worked like that. We began our drive well before sunrise and watched the first rays of light as we approached Virginia’s Shenandoah Valley. I’ve always hated driving on Interstate 81. It always seems choked with trucks and I wanted to avoid the hassle. Leaving early worked as I expected. We rolled down the valley under clear skies and nothing remarkable happened during the several hours it took to exit the state. The first border slipped behind us as we passed Bristol and crossed into Tennessee. There we exited at a rest stop, thankful for its existence, and marked the completion of our initial leg. The journey continued onward another couple of hours before we finished our first day at Knoxville. Clouds formed as we toured the Knoxville Zoo in a cold mist. The next morning we drove through freezing fog on the way to Nashville, with an icy shroud covering trees, although conditions improved the rest of the way into Memphis. Virginia and Tennessee stretched on forever. Only those two states separated Washington, DC from Memphis, a distance of 870 miles (1,400 km). That seemed like an amazingly long distance until we reached Texas later. 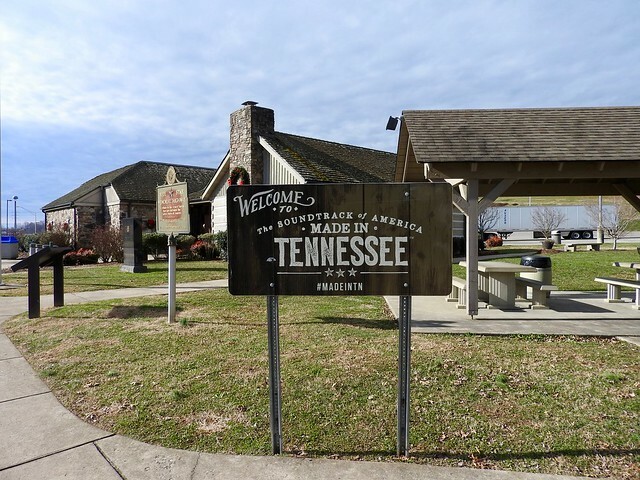 I noticed something weird when we pulled over at that first rest stop when we entered Tennessee. 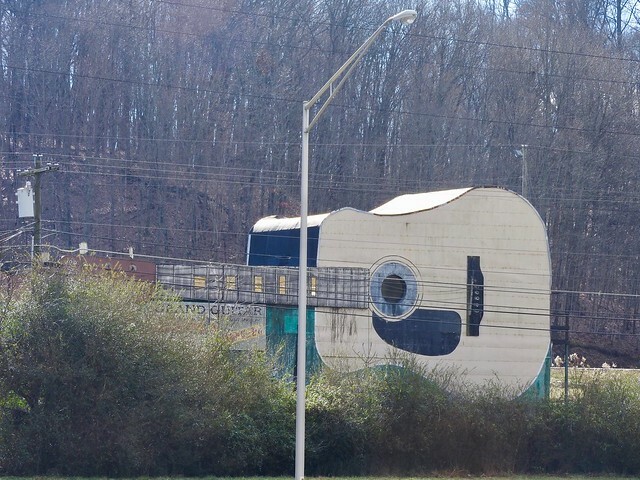 A building shaped like a giant guitar (map) stood across the highway. I took a photo of it and I vowed to scour the Internet when I got a chance. As it turned out, I’d encountered The Grand Guitar, which had its own entry on Roadside America. An entrepreneur named Joe Morrell built this masterpiece shaped like a Martin Dreadnought acoustic guitar in 1983. Inside, he placed a recording studio, a country music radio station, and his collection of musical instruments. The building fell into disarray after his death although the National Register of Historic Places still recognized it in 2014. Rumors of restoration floated around various websites although I saw no signs of that as we gazed upon the dilapidated structure. We stopped overnight at Forrest City, Arkansas — a little west of Memphis — on Christmas Eve. Only one place seemed to be open for dinner that evening, a Mexican restaurant sharing a lobby with a one-story motel. A chimichanga and a margarita seemed oddly appropriate at that moment. Christmas morning dawned and we followed a southwestern diagonal through Arkansas. We took a short detour from the interstate as we approached the Texas state line and drove into central Texarkana. 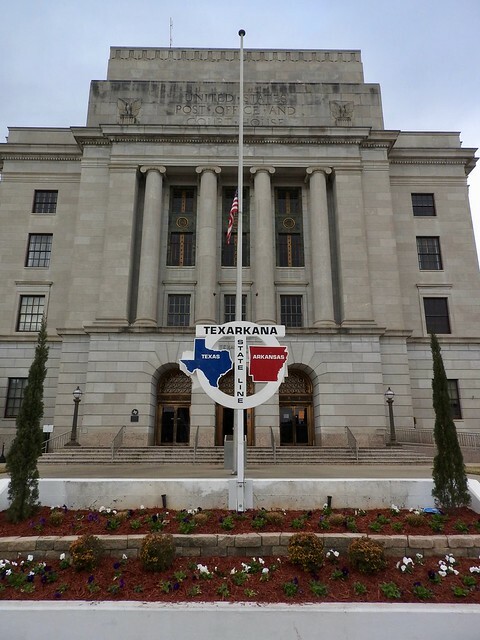 There were actually two Texarkanas, cojoined twins on opposite sides of the Texas-Arkansas border. However they so completely intertwined that they appeared as one. We took State Line Avenue where the boundary ran down the middle of the road. Southbound lanes fell on the Texas side and northbound ones in Arkansas. We reached our goal, the main post office and courthouse shared by the portmanteau cities. (map) Naturally we found no trouble parking directly in front of the building on a holiday. One other group had the same idea so we swapped chances to take photos of our families split by a state border. Then we pressed onward, driving through a rainy Dallas on our way to Weatherford, Texas where we stopped for the night. Christmas Dinner would be an adventure. Once again we had very few options. The local Waffle House seemed to be the best choice. Waffle House famously never closes. 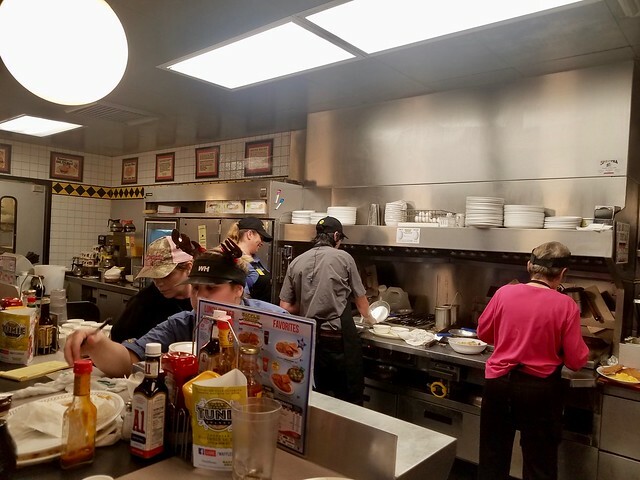 Not only was the Waffle House in Weatherford open, it was packed with diners and fully staffed for the onslaught. People filled every booth and we felt lucky to find even two empty seats at the counter. I wouldn’t go all the way and call this is our new holiday tradition although we certainly made the best of it. Breakfast for dinner on Christmas? Why not. I came for the county counting. Although, let’s recall I had to bribe my older son before this road trip could even happen. How many zoos could we see during six days of driving from coast to coast, plus a week in Phoenix? A lot. We visited six, well seven actually, although we only got to see six. 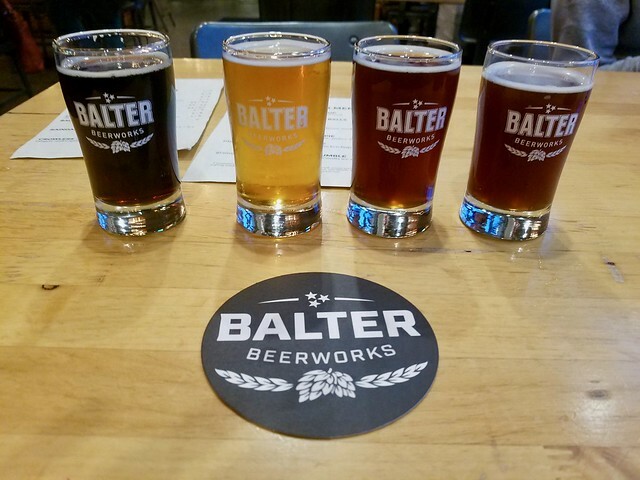 I had to balance it out with breweries and brewpubs. We stopped at six of those as well. He got something from the deal and I got something too. I think we both felt we got the better end of the bargain. 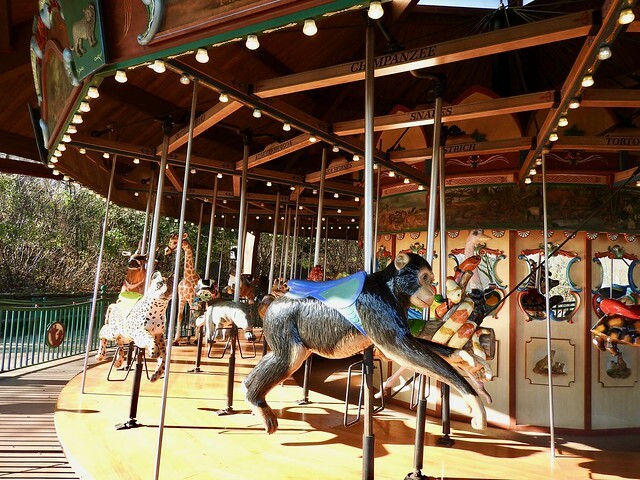 Also, it seemed like every zoo had a carousel. It must be some kind of zoo rule. Wintertime weather didn’t stop us either. In fact, I rather preferred it. A little chill didn’t stop the animals although it kept away the humans. We could tour the parks as casually as we liked, get close to the animals, and never feel crowded. 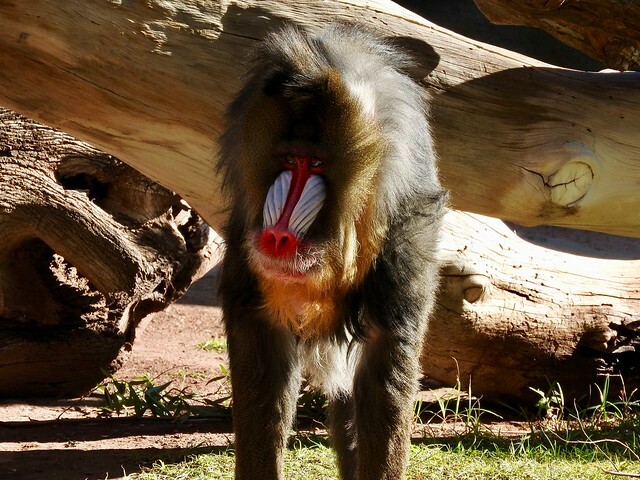 The Phoenix and San Diego Zoos, by contrast, presented mild temperatures and way too many people. We had a tough time getting anywhere near the exhibits particularly in San Diego on New Years Day. One possibility escaped our grasp. We wanted to stop at the zoo in Abilene, Texas. However a storm rolled over the Southern Plains and the skies opened up as we arrived at the entrance. Then the lightning came. We saw ducks floating on the flooded road outside of the zoo. We figured that was our cue to get away from there. Longtime readers might be wondering why I didn’t visit a lot more breweries. After all, I’ve focused entire vacations around brewery tourism in renowned beer towns such as Bend, Asheville and Grand Rapids. A number of things conspired against me this time. First, we wanted to cover as much ground as quickly as we could and that didn’t always align with brewery locations. 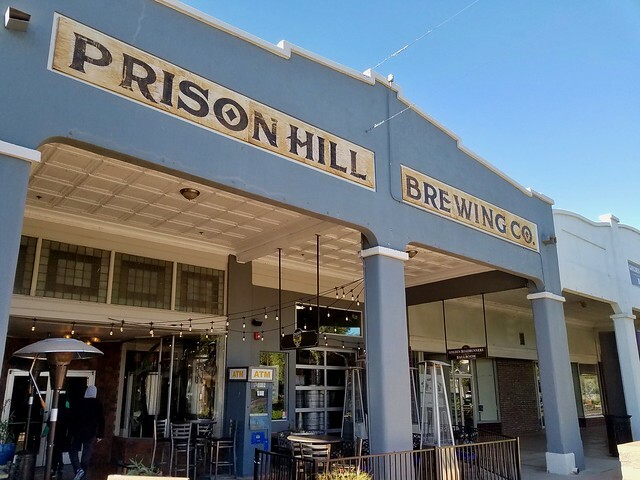 Second, we drove through a prime location with multiple breweries (Dallas) on Christmas Day so nothing was open. Finally, we traveled through large swaths of the southern Bible Belt that simply didn’t have any breweries. I did the best I could. Honestly, I didn’t worry about it too much. I enjoyed spending some quality time with my son even if that meant an endless parade of captive animals. I wanted to grab some new counties. That basic objective served as a guidepost, the unifying premise for the trip. We would see other things along the route and during most of a week in Phoenix, Arizona, of course. However, make no mistake, I wanted the new counties more than anything else. As noted earlier, the middle-southern route offered the best opportunity for the most unclaimed counties during our limited time. It looked pretty nice on a map too. Counties encountered during the journey. Underlying map courtesy of Mob Rule. This route crossed through 104 counties on its nationwide path. I’d captured 60 of them in previous drives (light blue). The other 44 joined my personal lifetime list as brand new additions (dark blue). Interstate highways cut a direct path, with plenty of easy captures. I also scheduled a handful of jogs, a reroute and out-and-back to pad the total a little more. Feel free to click on the map to see a larger image in another tab. I selected two jogs during the journey. I defined a jog as an incidental out-and-back. Ideally a jog should add only a few minutes to the overall drive time. The easiest jog happened on Day 2 in Tennessee. Interstate 40 passed barely a half-mile north of DeKalb County with a convenient exit at the optimal spot (map). This capture took maybe two minutes and represented the only new capture during the eastern third of the trip. My son took it all in stride and didn’t even raise an eyebrow. He knew the deal. The Collin County, Texas capture on Day 3 should have been equally convenient. However, construction blocked the exit we needed. Then Interstate 30 took a decidedly southern tack, moving it farther away from Collin. We took the very next exit into the little community of Royce City and guessed at at the easiest route up to Collin Co. We headed northeast and felt vindicated as we crossed County Line Road. My son actually seemed to enjoy that mini-adventure and the educated orienteering. I decided to forego Interstate 10 as we approached Arizona, preferring to take a parallel route on much smaller U.S. Route 70 instead. This marked our only significant departure from the Interstate highway system. It added an hour to the overall length of our drive although the reroute allowed us to capture three out-of-the-way counties; Greenlee, Graham and Gila. The highway rolled through rugged, empty landscape. We entered Duncan, one of only two towns in Greenlee County. Only a handful of people lived there and intuition told me that I shouldn’t drive even a single mile per hour above the posted speed limit. Sure enough, the sheriff sat right behind the 25 mph sign and I passed without incident. I didn’t see much else in Greenlee County although apparently one of the largest copper mines in the world could be found there. The mine employed 4,000 people, or about half of the county population. Later I drove through Safford in Graham County, a much larger town than I expected in such a remote area. Several adjacent towns hugged the same stretch of highway, accentuating the population. This seemed to be the only sizable community anywhere along Route 70, with a bunch of traffic lights that all seemed to be red and about every major box store imaginable. We arrived in Phoenix as expected and poked around for several days from the rental house we used as our base. I’ll talk about that in a future episode. However, I still hadn’t stopped counting. My map showed a blank space on Interstate 10 due west of Phoenix, representing the County of La Paz. On Sunday morning, I woke up early and drove for an hour on an empty freeway to a nondescript interchange, then looped back to Phoenix. The entire adventure lasted about two hours and I spent less than five minutes in La Paz. It still counted. This would be significant a couple of days later. Shockingly, nobody else in the family wanted to join me. By the way, this wasn’t the farthest I’ve gone on an out-and-back. That honor probably went to Elko County, Nevada during my Utah trip a few years ago. Altogether that one took about four hours. Phoenix was our intended destination from the start. However, it began to gnaw on me that we’d come so close to driving across the country without actually reaching the Pacific. 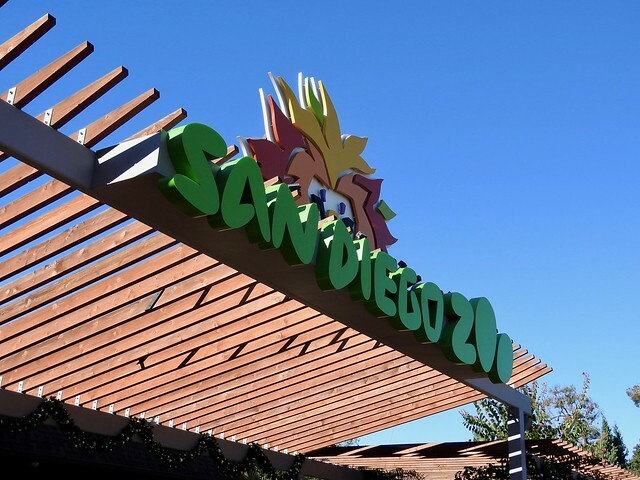 I enticed my zoo-loving son with the ultimate prize, a chance to visit the world famous San Diego Zoo. So we added an overnight trip to San Diego onto the tail end of our Arizona adventure. That also allowed me to capture Yuma Co., Arizona and Imperial Co., California. With Yuma, I finished all of the Arizona counties, my first completed state west of the Mississippi River.